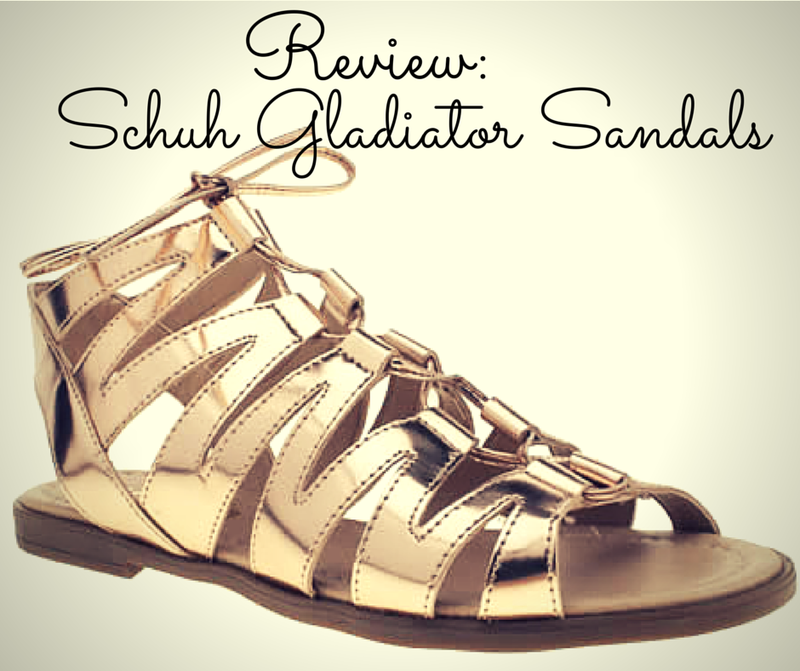 Whilst not strictly wide fit shoes by design or intention, I recently purchased a gorgeous pair of gladiator sandals from Schuh that certainly fit the wide fit-friendly bill and therefore deserve a review and your consideration. If you've read my previous blog post about finding wide fit shoes that fit yet are fashion-forward, you will know that I have long lamented the choice currently available to the 21st Century woman on the high street. Because of this, I always anticipate the approach of summer with a certain degree of dread. Warmer weather means open-toed shoes - my wide feet out for the world to see in flip-flops, sandals and wedges, instead of the cosseted concealment provided by boots in the colder months. Shudder.Yet I feel I must toe the line (please forgive the awful pun). Summer shoes are notoriously tricky for those with wide feet - how to avoid the dreaded overspill of feet in strappy sandals like the overspill of an ample muffin top in a pair of skinny jeans? Strappy sandals are deceptive- the spaces left in between straps look like they should provide more than enough room for wide feet, but in reality there is often less room than in normal shoes as your feet are garrotted by the straps. Leaving behind those attractive trellis-like red marks, not unlike the marks left on your back by the underwire of a too-tight bra when removing it at the end of a long day. But, fellow friends with wide feet, I have found a solution to this sandals saga. 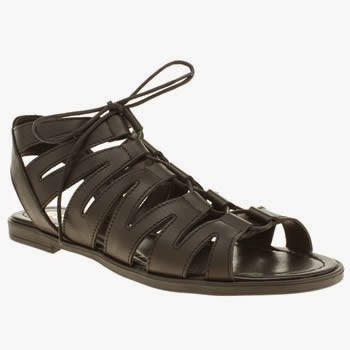 Schuh's Game On gladiator sandals. As you can see in the photos, the secret is the adjustable laces. Just like with a comfy pair of trainers, you can let them out before you pop them on and then tighten them up as desired. And best of all, no overspill! The stunning metallic sandals caught my eye on a recent weekend in London and though I was too shy to try them on in front of the sales assistant, I went straight home, ordered them online and got them delivered within a couple of days thanks to Schuh's speedy delivery service. If metallic isn't your thing, these sandals also come in tan and black - I liked my metallic ones so much that I just had to get them, in black, too - you can't go wrong with black gladiator sandals! The weather has been glorious this week but my gladiator sandals got their first proper outing last weekend on a work trip to Cyprus. I'll be fiercely challenging my inner Russell Crowe next week as I pound the sidewalks of New York and Boston on my holiday. I love an ASOS sale. Every time I get my ASOS Premier advanced sale notification email I do a little squeal of glee. OK, maybe it is a large one. As I'm sure most of you know, as an ASOS VIP, you get to browse the sale at least 24 hours before the commoners. This means you can load your ASOS shopping basket full of goodies in your size well before they sell out. Nothing can soothe the aches and pains created by shopping basket indecisiveness. And so I find myself browsing the gorgeous goodies in the ASOS sale on this balmy April evening. As usual, there are far too many things I want than I can afford to buy – especially since I’m trying to save my pennies for my pending New York trip in under three weeks time. Excited doesn’t even begin to cover it. 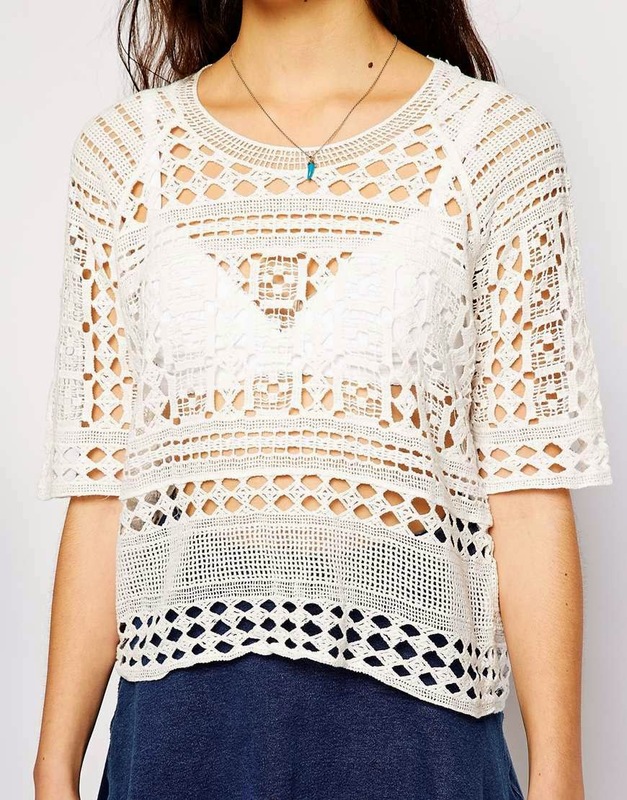 So, I thought I would share with you my top picks from the ASOS sale. Available to buy now (08.04.15) with 30% off if you’re an ASOS Premier member with the promotional code GETIN30. Shortly to be released to the masses. Prices below exclude the 30% off discount. Floral dresses are very much my thing, and this one simply jumped out of the page at me. 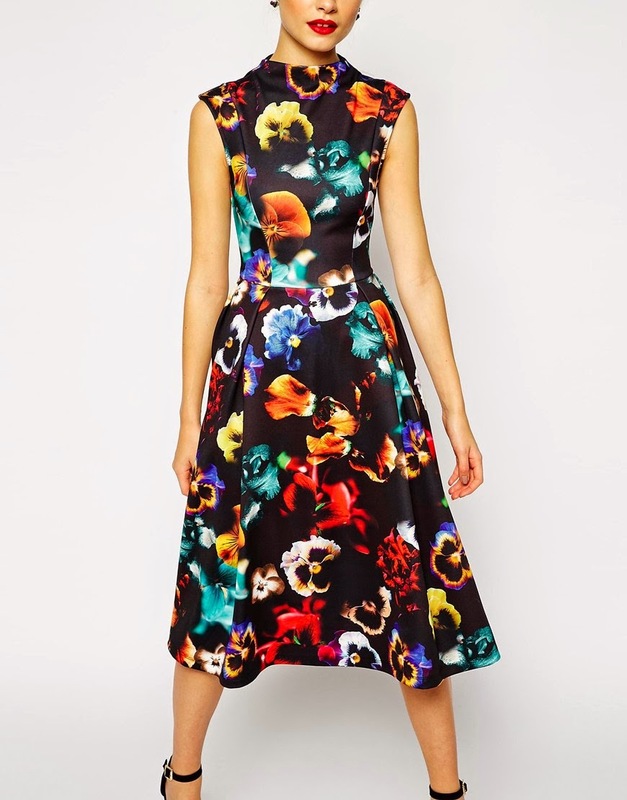 The contrast of the vivid colour palette of the flowers against the black of the raw material makes this dress a perfect transeasonal piece. And the high neckline means no unintentional flashing of the goodies at work. 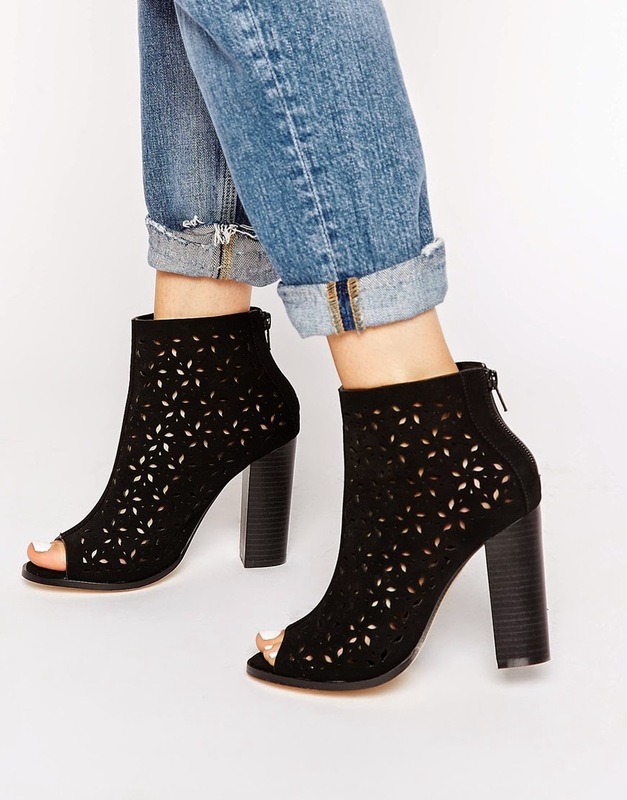 These suede-look, laser cut-out shoe boots are simply divine. The peep toe provides a nod to the increasingly warm spring weather and the suede adds an extra layer of texture to boot (another bad pun, apologies). I have a floaty cream dress that is begging to be toughened up by these bad boys in the coming weeks. Crochet always reminds me of long summer days punctuated by gin and tonics and barbecues. A certain summer staple, this versatile top will look equally good thrown over a bikini at the beach or on an outing to a summer festival. It’s 100% cotton too, so will definitely keep you cool as well as covered. Everyone knows that your phone case is as much of an accessory as your handbag or jewellery now. I don’t tend to go for overly blingy ones, but this one is just my cup of tea and encompasses the ever-present spring floral trend with its cute pastel roses. 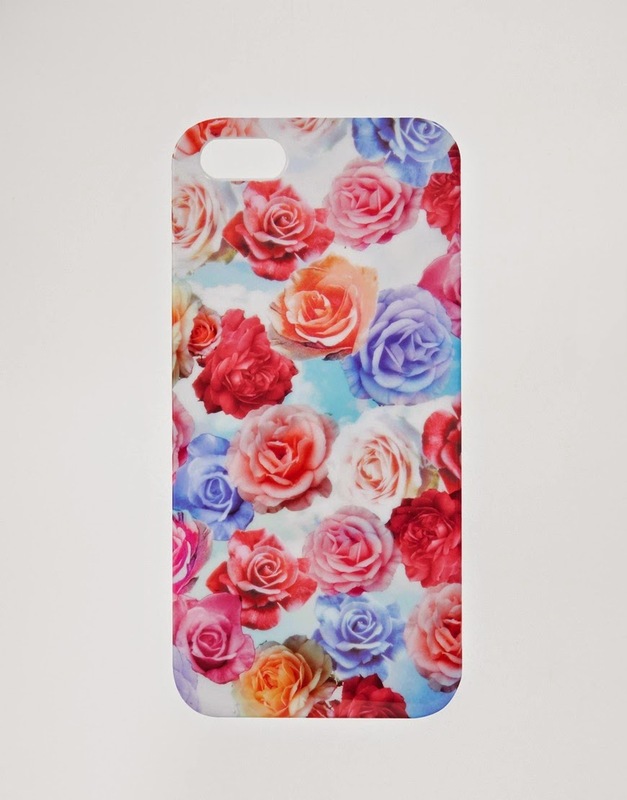 Opt for this phone case for a dash of floral if you aren’t keen enough to go for an all-over print. Outkast - who actually said Roses really smell like poo–oo-oo ? 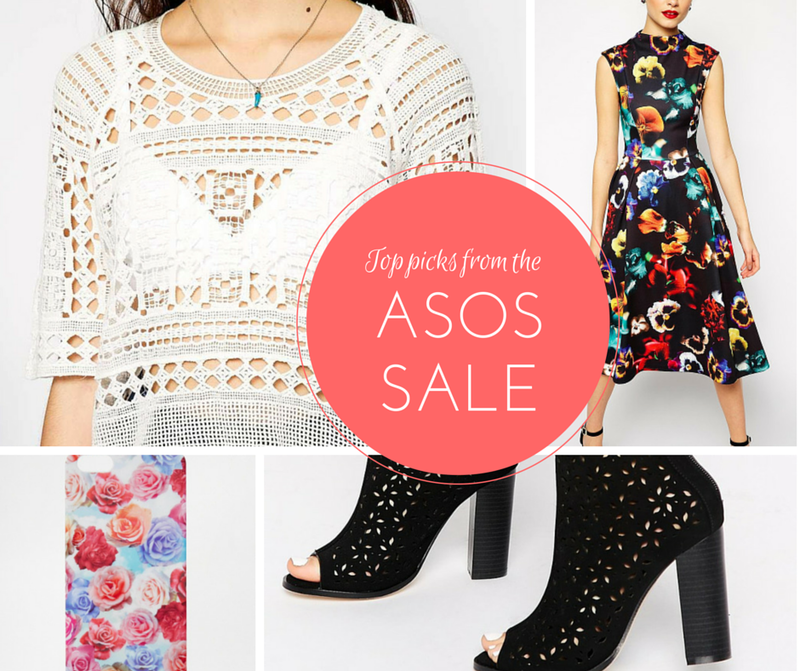 Have you discovered any good finds in the ASOS sale?